Cedar-Tone Picket Fence Panel Kit, 3 ft. x 6 ft.
A DIYer’s dream…wood picket fence parts are already cut and stained to look like cedar. To build a fence section, all you have to do is attach pickets to rails. Fence pickets and rails are pressure-treated, color-infused wood - cedar-tone pigment is driven deep into fibers. Color is guaranteed to not fade significantly for 2 years (you’ll eventually need to re-stain, but not for a while). Wood has been kiln dried after treatment, which reduces shrinking and warping. Pickets are moulded for a slightly ridged surface. NOTE: Posts not included. To complete a fence run, you’ll need one 4 in. x 4 in. x 6 ft. fence post per panel, plus one additional post to finish. We recommend bribing your friends with pizza and such to help you dig the post holes. Picket spacing: Since this kit is unassembled, picket spacing is up to you. 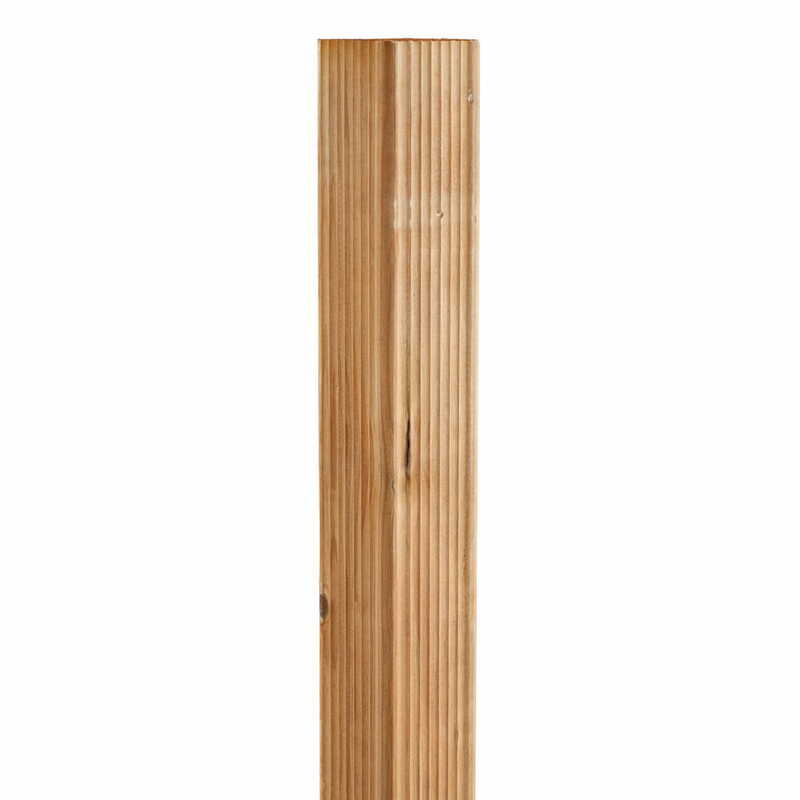 We recommend a spacing of 3.5 inches between pickets, with 1.75-inches from the post to the first picket. More details: Backer rails are 1.375 inches thick, 2.375 inches wide, 72 inches long.